Fiat is doing what it can to keep its Tipo budget car relevant and lately, that means launching new trim levels in the hope they will increase sales. Last year we’ve seen two of those launched, the Tipo Mirror and Tipo Street, and now it’s time for Fiat to bring a Tipo Sport into the world. Don’t get fooled by its name, the Sport isn’t that sporty beyond the attractive body kit. 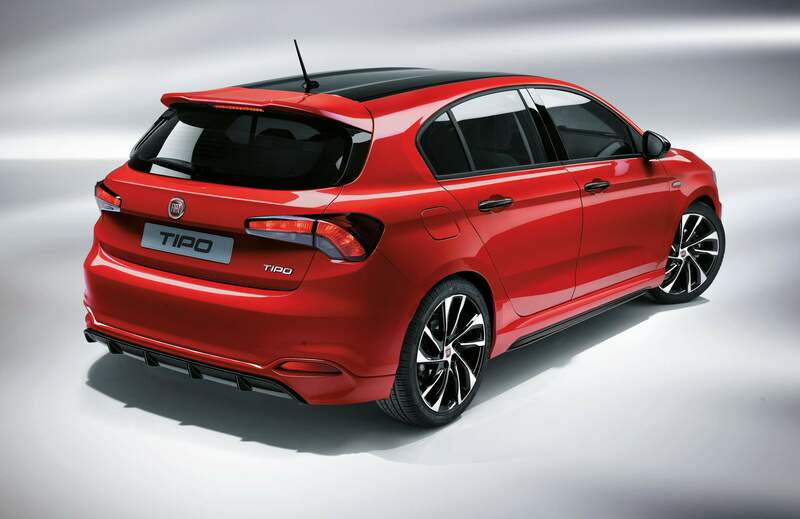 Based on the five-door Tipo S-Design, the Sport version adds a sharper-looking front bumper, more prominent side skirts, a big roof spoiler, and a new rear bumper with an integrated diffuser. Several gloss black elements such as the grille, fog light bezels, 18-inch alloy wheels in a diamond-cut finish, and mirror caps round off the exterior upgrades. Additionally, the tinted rear windows and optional black roof complement go together with the Passione Red exterior color quite nicely. 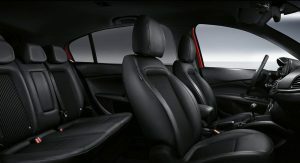 While the exterior may trick some into believing it’s a Tipo hot hatch, the cabin is quite tame. The all-black interior features leather and fabric seats with double-stitched seams and cross-pattern techno-leather upholstery on the steering wheel and gear lever knob. 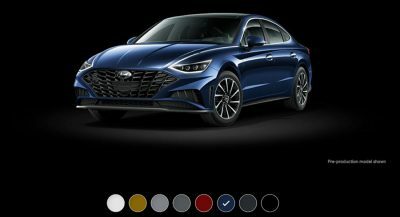 The Tipo Sport comes standard with the 7-inch Uconnect HD Live infotainment system that offers Apple CarPlay and Android Auto connectivity. The list of optional extras is topped by the bi-xenon headlights. 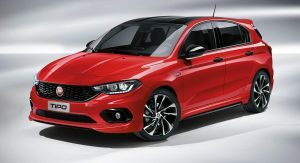 In addition to all the styling upgrades, the Fiat Tipo Sport gains two new engines but they’re not even warm hatch material. A 95PS (94hp) 1.4-liter gasoline unit and a 95PS (94hp) 1.3-liter MultiJet diesel join the existing 120PS (118hp) 1.4-liter T-Jet and the 120PS (118hp) 1.6-liter MultiJet. It sounds to me as though FIAT are running on “absolute empty”. Yet, nobody buys it. Because you get what you pay for. It feels cheap. VW is cheap as well, but you pay it two times more. It’s not a bad car, I tried the 1.6 Jtd, with an interesting and precise short gearbox. It was pleasant to drive. Maybe better than golf in the end. Still thrown to together in the oppressive Islamic Republic of Turkey? No thanks. Not to be sound triggered or anything (it’ll probabbly look like) but what’s the problem with it exactly? Except hating the whole country of course. Erdogan loves jailing journalists and 8% of the population openly support ISIS. No real engines, no real power. Why are they here? 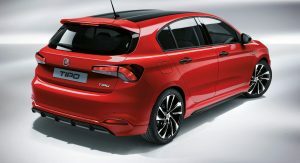 The Tipo is offering a C-segment car at B-segment prices, a similar thing SKoda tried with the Rapid or will now with the Scala; I’S not class beating anywhere except maybe rear space and trunk (after all, in Southern Europe and Turkey – where this is made – these cars serve as family vehicles and cabs), but it#s good enough to not be a deal breaker in any respect; People buying a Tipo don’t expect 200hp+ engines, the latest and greatest infotainment & DSG and class leading sharp handling, they like price, space and long warranties, and it doesn’t look cheap, which is a bonus. Appreciate your insight. Remember the Ritmo Abarth 130 TC from back in the day. Those were sharp fast cars that could easily run with the GTI’s… Wish Fiat would start making similar cars again today. 8% of people openly support ISIS. Meanwhile, dictator Erdogan continues to push the country further and further away from ever Westernizing itself. Nobody with an ounce of sense would buy a vehicle made in Turkey as it only goes to legitimizing the current depraved government.